Hello lovely peaches! It's Erin from The Elementary Darling! 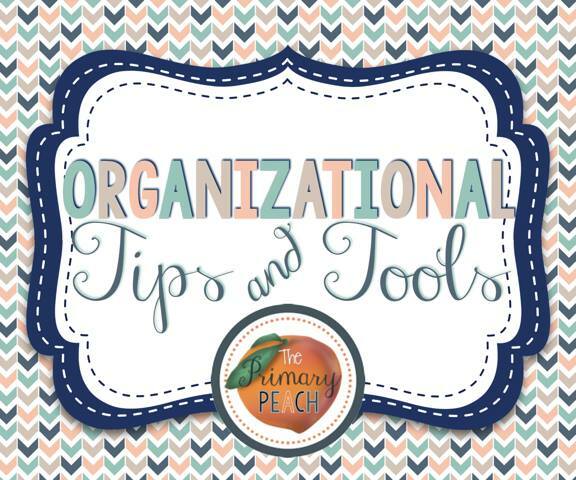 We are on week three of our Organizational Linky party and we have some fabulous blog posts linked up already! We will continue this every Sunday this summer! We would love for you to link up with us, join anytime! This week I am showing you how I organize my math groups! I use NWEA MAP scores to group my students. 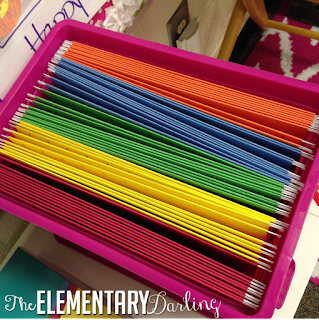 I actually added a group after I created my sticky note groups! This is a great way for me to move kids based on the strands in each group. 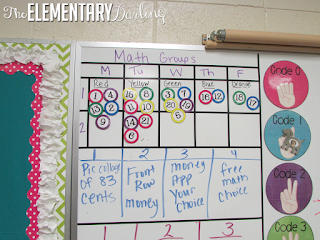 Each day my students complete two math groups. I see two groups, and I organize them on my white board with magnets. This way I can move them if we don't have school on a Monday or Friday or if I change the groups. Each group has a color and the rest of their activities are in the color basket that correlates with the color group they are in. 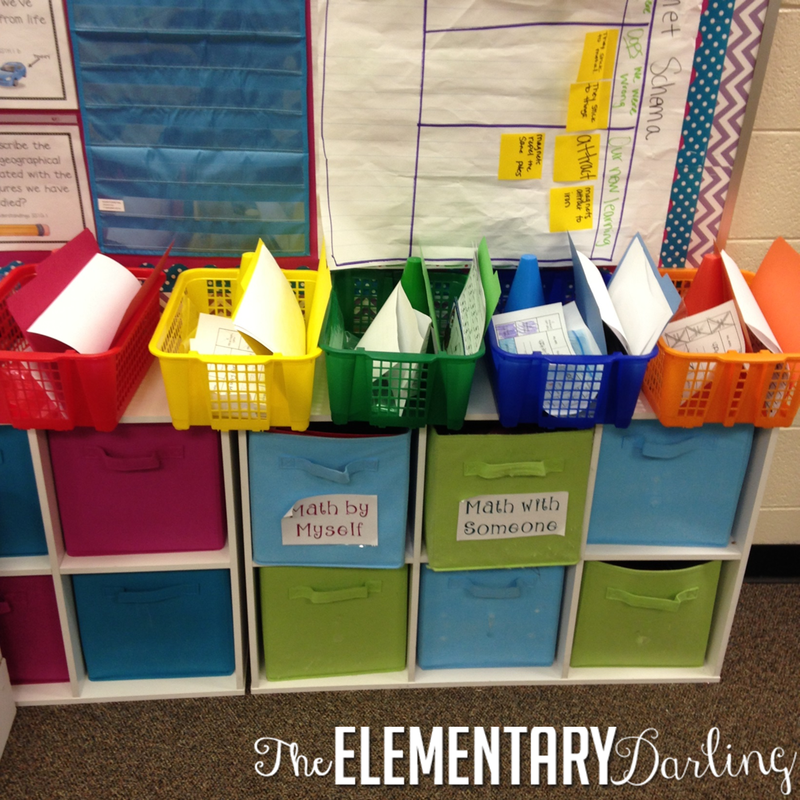 The baskets are from Really Good Stuff and the folders were from Amazon. When I plan in advance (this doesn't happen often :)) I use the colored hanging folders to print out each groups differentiated worksheets or interactive notebook pages. You could do this for any kind of groups! 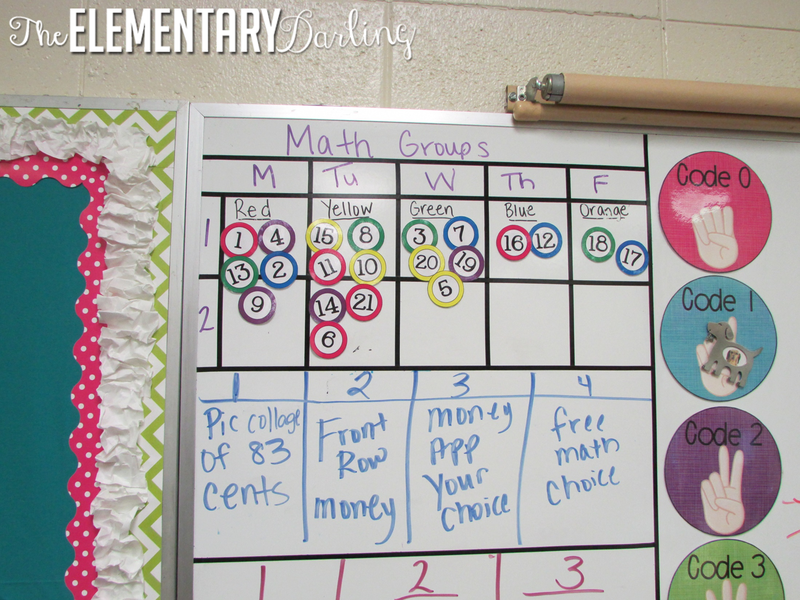 To find out more about my math groups, you can go here! 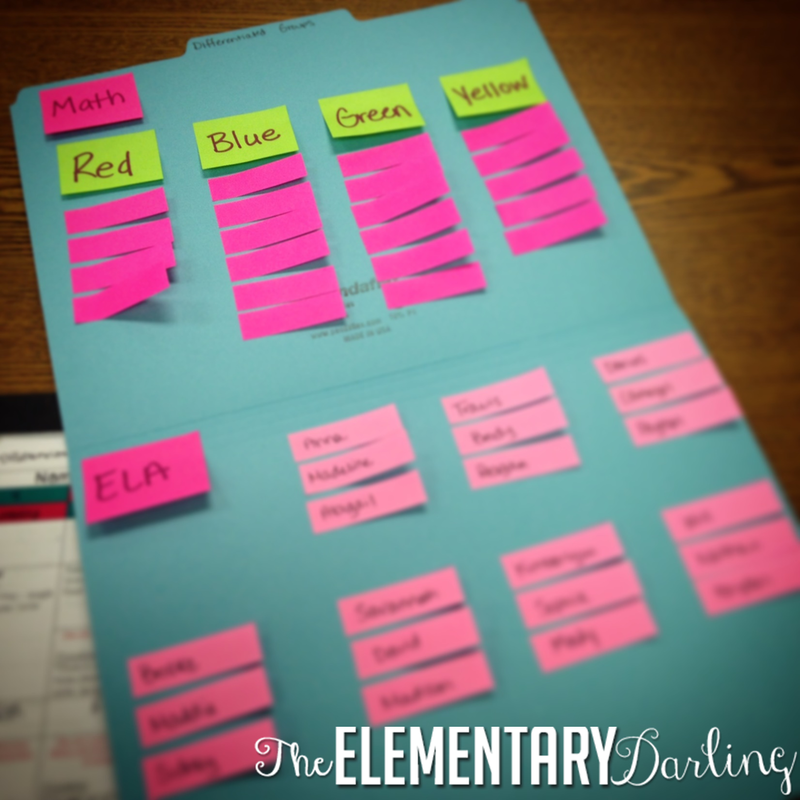 How do you organize math groups? Let me know by leaving a comment! 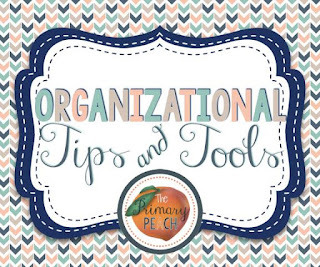 Organizational Tips and Tools: Linky Party! "Teach Your Monster To Read" Technology Tuesday!